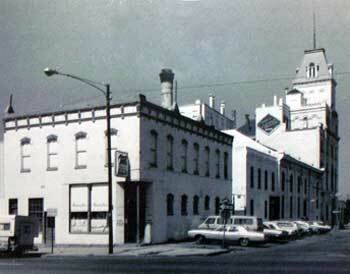 Our first Brewery Bar was founded in 1954, in the old Tivoli Brewery. They were Colorado's original craft beer brewers -- and we still proudly serve their beer on tap. In 1974, we picked up our pots and pans and moved our Mexican restaurant and bar to its current Kalamath location, where we became Brewery Bar II. There we remain a neighborhood favorite, serving up food, friendship and fun. 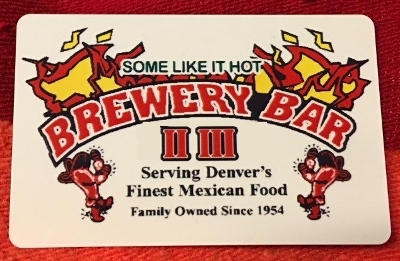 In 2003, we opened up Brewery Bar III, where we serve fine Mexican food using our old-time recipes and the best margaritas in town. Located in Lone Tree, this Mexican restaurant is nearby Park Meadows. We take pride in offering traditional Mexican food in a casual environment and haven't changed much over the last 65 years. We're grateful for the loyal following of regular customer who keep coming back for our quality Mexican dishes. We also offer Mexican catering and takeout to go. So however you want it served, you can relax and enjoy a Brewery Bar experience. We can do any amount on the cards.